When the severely ill Yar’Adua was deteriorating in illness and wallowing in severe pains foisted upon him by a terminal disease, at that very moment when He deserved our collective sympathy and prayers as a people of a nation, the southerners had their eyes fixed on the soon-to-be-vacated throne! Emphasis on his replacement had been replaced by empathy for his person.To many southerners, he was preferred dead than to come out of the illness. This was not because He wasn’t performing, No, far from that; The militancy that had almost driven the nation aground was defeated using the peaceful weapons of amnesty. The warlords of the creeks came out with their sophisticated weapons laid down. It was the first time they would have confidence in a President. Yar’adua had visited the region shortly after the amnesty was announced. He mounted the podium in a public gathering to address the aggrieved region, confessing the obvious neglect of the zone by past leaderships of the country, admitting the errors of OBJ massacre in Odi and the Abacha’s brutal murder of their Heroes. He stood up with his lean frame, in his rather slow speech, He offered promises to redeem what is universally accepted as injustice against the Niger Delta. With pure sincerity of heart, Yar’Adua gazed towards the sky, raised his two hands in prayers, soliciting heavenly supports for the people of the region and that Almighty God reposes the souls of all who died in their struggle to liberate their region from the government-imposed shackles of oppression. The Muslims among the Niger Deltans, who were hitherto thought to be insignificant in number, all trooped out in great numbers taking pride in a Northern President who had sincerely vowed to demonstrate the Justice which Islam, their religion is an embodiment of. Our impatience on the illness of the president was not because He had not distinguished himself as an exceptional leader. No, far from it; He was the first President to reduce the pump price of oil. He did that twice and yet our economy did not collapse as his predecessors had always made us to believe. We did not boo Yar’Adua away to his grave just because we had doubts about his integrity, No again! far from that; He had ruled his state as the governor for 8years in what can be described as a transparent governance that served as a model of honesty. 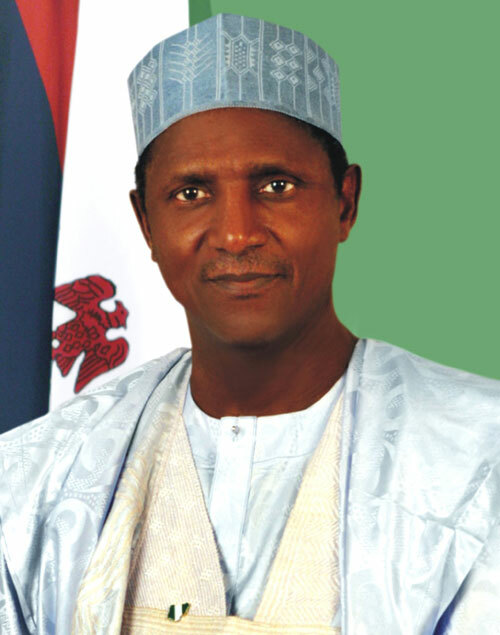 When many of Nigerian states would elect new governors that would immediately raise alarm that their immediate predecessors had not only evacuated the state purse but had also left a debt that could not be re-paid in a decades, Umaru Musa Y’adua would surprise us by bequeathing his successor with almost a Billion Naira! Such transparency had caught the attention of Gen. Olusegun Obasanjo, who at once marked Umoru as his own prospective successor. Late President Yar’Adua would again pioneer a road map to honesty in government by a Public declaration of his asset, which No former leader has ever done before and after him till date. Such a bold step had forced many of the state governors to follow suite by ostensibly declaring their own asset as well. The significance of this is that it plays a pivotal role in promotion of transparency, honesty and integrity in government. Such ingredient of anti-corruption crusade that the then Vice president Jonathan would later help us re-define as a “matter of principle” when He became president after Yar’Adua had died. When Yar’Adua illness peaked, all his achievements within that short span of time woefully failed to persuade Nigerians sympathy with the president. Every one had picked interest in the progression of his illness with pernicious curiosity on how soon he was going to die! What an evil people we were! “Why would He refuse to die?” We wondered. Why would He be flown out to a Saudi Hospital? Why won’t they allow him to go? Malicious questions kept assailing our minds as we silently approved his death in the corners of our hearts. At a point, the “missing” president was announced dead by some desperate ‘propagangists’ and it was rumoured that the “cabals” were only being secretive to prevent Jonathan to take over the government. Even when, the ailing president was inconveniently made to make a short speech broadcast on a foreign media outlet, to calm our nerves that He was still alive, the rather emotional speech, of some pitiable decibel, laden tone of love of Nigeria and her citizens and expressive of the tenacity with which our beloved Yar’Adua was struggling to survive, failed to arouse in us any pinch of sympathy! What a wicked people we were! Yes, we did not inflict him with the illness, we are all humans and anyone could have suffered the same tragic fate. We forgot Humans don’t own their lives. We forgot no one chooses to be ill when good health is an option. We forgot no one is immune to the painful pang of illness. We forgot Y’adua was a son to an elderly widow, who at all cost wanted him not to die and could have replace her soul for his if she had her ways- The poor old woman who had lost another great son,Sheu Y’adua to the Abacha’s reigns of terror. We forgot He was a husband to a wife.We forgot He was a father to some children. We forgot He was an uncle to many. We forgot he was a bread winner of his family. We forgot he was a pillar of a clan. We forgot He was a hero in a state. We forgot He was a benefactor to thousands of orphans. We forgot He was the reason many widows still had hope in life. We forgot his death meant doom for thousands. We forgot and forgot every other thing. He just had to die “we had concluded”. At such trying time of his, when we needed to pray and fast for him, we kept abusing, cursing, insulting, castigating, ridiculing him and the so-called “cabals”, who knew what his death was going to mean to several thousands of people. Though politics took a central stage and some political opportunists needed at least a breathing Yar’Adua, the posture of many Nigerian towards the president was nothing to write home about. I remember some south-southern friends practically praying for his death on their internet pages. I remember a guy offering Yar’Adua what He called “Two point option”; either “to die or to resign”! His recovery was not an option in the minds of many southerners, who were so euphoric of the Presidency that would opportunistically fall back into their hands. Virtually, all Niger delta People then saw his imminent death as an opportunity for their son to ascend the throne for the first time…Such opportunity must never slip away from grasp “they must have concluded”, hence their recklessness at booing him fast to his waiting grave. But then, what was the outcome of his travails as a sick president? He triumphed in death! He was freed by his creator by taking his soul away! He shamed the illness that had bedridden him and he was grasped from Us his enemies! His name was written in gold, on a rock of diamond and engraved for life on our minds, willingly or otherwise, as the best democratic president in our entire history. Our Y’adua was described by the CNN as having died “a honest man in a corrupt Nation”! Wao! What an immortal epitaph! Such a rare leader Yar’Adua was. His ever waiting Vice, who professed having shoelessly grown on the swampy marsh of Otuoke in the south Southern state of bayelsa was swiftly sworn in. The reason is clear, ” to avoid creating vacuum in governance”, we were told. The South southern elders quickly set out in respledent attires ceremoniously flooding Abuja in a pilgrimage of sort, to congratulate their GoodLUCK, the LUCKY son, for the LUCK providence threw his way by the DEATH of his boss! “What goes around comes around” so does the proverb assert. Obviously, we had thought mere “luck” was what Nigeria needed at then. Unfortunately, reality would not be patient for us to dwell long in such fantasy. It brought itself to fore and quickly as possible, by the current failure of the said “Luck” at fixing the country as we had all day-dreamed. Now, our goodluck has turned badluck. Our president’s lack of ability and charisma is throwing muds of disgrace at our nation from all over the world. We have washed our linens outside for all to see. Here we are, a humiliated and disgraced Nation. What a nice content,I don’t think we can have a replica of late Umar Musa Yar’adua in this genereation among the crop of selfish politicians of ours. Its unfortunate, those politicians has thought us the songs of hatred, hatred of intimidation anchor on sentiment, sectionalism and tribalism. Corruption is no longer our common enemy hence religion and tribal affiliation is gradually wiping off our peaceful co-existence, unless and except our leaders are ready for re-orientation else the Nigeria of our dream would never come to stay. Thank you so much the writer!! I am a Yoruba man by tribe. But while fingers of accusation are incessantly being pointed at northerners for producing Nigerian’s bad leaders, I observe that it is the only region that has produced the best leaders that Nigerians could proud of in term of honesty, selflessness, loyalty, justice and many other values. While leaders of such kind are numerous at their regional level, Those that have risen to be known at national level are: Tarawa Balewa, Aminu Kano, Ahmadu Bello, Muritala Muhammed, Muhammad Buhari, Nuhu Ribadu, Umaru Musa Yar’adua. May their souls rest in perfect peace. To the victims of tribal and religious indoctrination from other regions, Where are your untainted leaders?